Pe modelul pus la dispozitie, taiat la dimensiuni, am aplicat grund, bucati dintr-o harta, am stampilat randuri de text, am aplicat cerneala acrilica metalica. Aripile sunt mobile, sunt fixate pe ocheti, penele doar mascheaza si dau dimensiune. Coronita este impodobita cu 2 ace cu perle si un timbru postal. This bird, made for Cut-Out Birdie Swap, is carrying all my good thoughts, over seas and oceans. 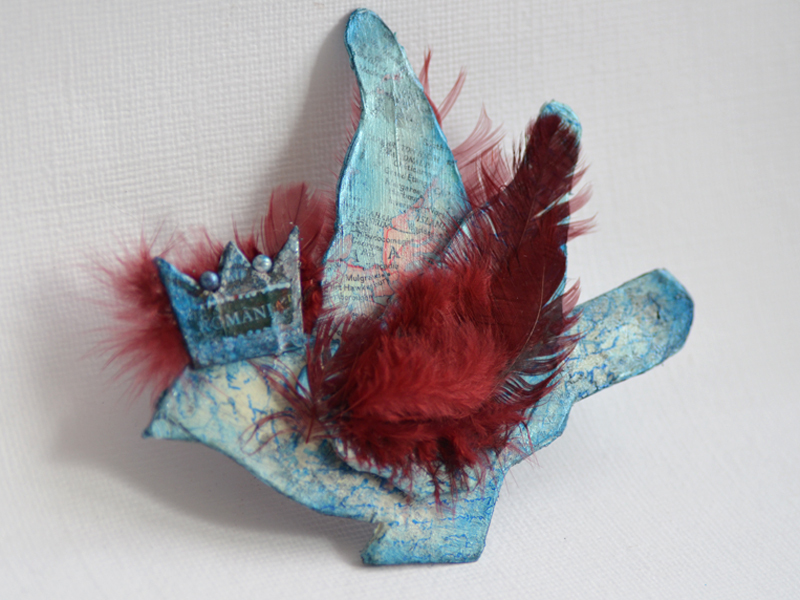 It has mobile wings, shredded pieces of old maps glued, painted with metallic acrylic paint and feathers attached. 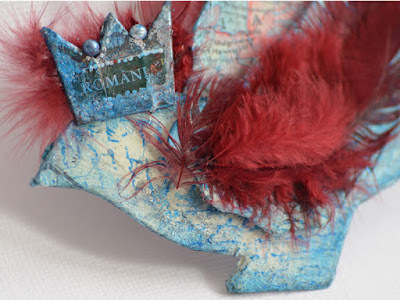 The crown is embellished with an old Romanian postal stamp and needles with pearls. 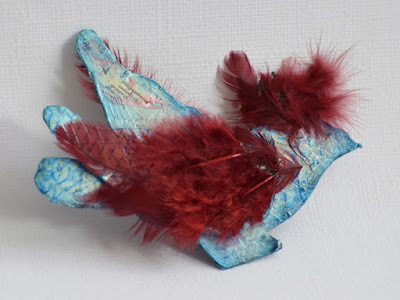 I hope that the little birdie will alight safely on the right hands and it will be welcome. Follow Adriana Seculin (Asiris Solutions)'s board My handmade cards & gifts on Pinterest.